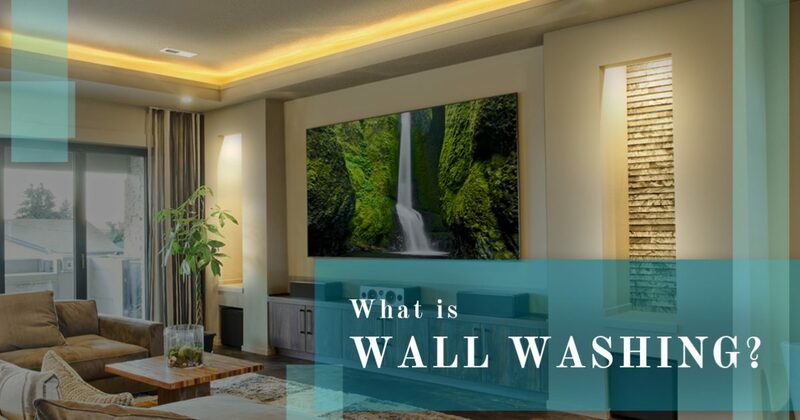 You may have heard the term before, but when it comes to “wall washing” with light, you might be unsure where to start, or what the term actually means. At Lighting One of Cincinnati, we can help you find the perfect fixtures for your home, and if you’re interested in washing a wall in light in your living room, family room, or dining room, you can find the ideal options in our showroom. In simple terms, wall washing is lighting that illuminates a vertical surface. It’s meant to draw attention to the wall, either because it is a unique color or it has a unique texture that you want to highlight. This is achieved by placing the fixture near the wall (usually no less than 12 inches) so that it covers the surface in light. Wall washing is different from “wall grazing,” as grazing places the light much closer to the wall in order to bring out a texture or pattern. With wall washing, your goal should be to achieve an even distribution of light from floor to ceiling. This can be done by putting the fixture above or below the wall, and directing the light toward the wall. If you put the fixture on the wall, it will produce more of the grazing effect, plus, the shape of the fixture will interrupt the smooth surface of the wall. Washing can be achieved through both uplighting and downlighting, and our expert staff can help you choose the best fixtures for these placements. What Color Should the Wall Be? To get the best results from your wall washing fixtures, you’ll want to paint the wall a light, matte color. Gloss and semi-gloss paints can produce too much glare, and dark colors will absorb too much of the light. You want to give the illusion of more space than there actually is, and you want the light to be evenly distributed across the wall. If the wall has a recess at the top, you’ll want to be sure your lights are positioned appropriately so that the illumination is directed to the proper area. Once you have your wall-washing fixtures, there are certain things to avoid when adding them to your home. You won’t want to wash walls with mirrors or windows, since the fixture could be reflected in the glass when you’re sitting on the other side of the room. 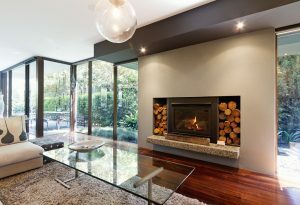 It may also produce unwanted glare on glassy surfaces, which can detract from the appeal of the room. You’ll also want to make sure that your washing fixtures aren’t too visible, and if they are, that they integrate seamlessly into the design and decor of the room. You want the eye to be drawn to the vertical surface, not the fixture that’s providing the light! If you’re thinking about washing a wall in your home with light, then come to Lighting One today. Our showroom is full of amazing options, and our staff will gladly help you find the best products at the best prices. If you have questions about wall washing, or you’re unsure which lights will be ideal, we’ll provide the advice and guidance you need.